Way Down Mexico Way | Movies | Style Weekly - Richmond, VA local news, arts, and events. "Casa de Mi Padre" tests the limits of comic stereotyping. "We don't need no stinkin' subtitles." Will Ferrell's latest movie pokes fun at racist views of Mexico. The most pressing question regarding the new Will Ferrell movie isn't whether it's funny. It's hilarious. The most pressing question is whether you should be laughing. Or, at the very least, whether you'd be laughing as much if its story of a rancher (Ferrell) trying to save his family from drug cartels weren't, well, en Español. As someone of the pasty, Will Ferrell complexion, all I can say is, I don't think the movie would be as funny in English. To put it mildly, Ferrell is the most avant-garde casting choice to play a Mexican since Charlton Heston in "Touch of Evil." And unlike Heston, he spends the movie speaking in Spanish — in English subtitles, of course — which multiplies the joke. But some people have wondered if the movie is offensive, perhaps even racist. That is for others to decide, but the questions being raised show how times have changed since movies like "The Jerk" and "Blazing Saddles," which committed far worse crimes than "Casa de Mi Padre" — which has a much milder brand of humor, though admittedly a little reminiscent of both those previous films. The biggest mistake would be to write it off either as a typical Ferrell film or another exercise in tasteless humor. This is a well-written comedy that maintains its pace from beginning to end, whose best jokes often are visual and unexpectedly intelligent. Ferrell plays Armando Alvarez, son of a wealthy but aging Mexican rancher (Pedro Armendáriz Jr.) on an estate that looks so much like a stereotypical Mexican estate that you expect the original A-Team to invade it at any minute. Armando learns that a local narco (drug lord) named Onza (Gael Garcia Bernal) is conducting his nefarious dealings all around the Alvarez family property, and that his prodigal brother, Raul (Diego Luna), upon his return with a new fiancee (Génesis Rodríguez), also is involved with drug trafficking. The rest of the plot involves Armando's struggle to reconcile the ensuing conflict between Onza and Raul, who come across like cartoonish versions of Al Pacino in "Scarface" in different states of coked-up psychosis. More complications arise with Raul's fiancee and explicitly racist drug-enforcement agents trying to get Armando to turn against his family. Armando's attempt to stay above the fray brands him a "cobarde," a coward. 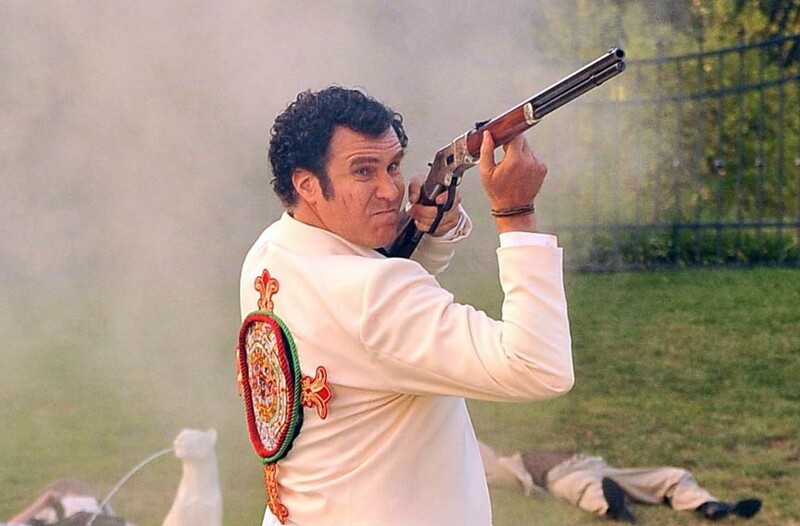 The lukewarm reception "Casa de Mi Padre" has received probably has as much or more to do with Ferrell's deserved reputation for relying on his goofball persona to carry a picture as it does with the film's perceived offensiveness. Even well-regarded Ferrell vehicles such as "Anchorman" and "Talladega Nights" did little more than drop their lead into a farcical situation and let Ferrell's buffoonery carry the day, and because then you never know what you're going to get, decent movies like "The Other Guys," or junk like "Land of the Lost." What's most appealing about "Casa de Mi Padre" is that it doesn't rely on Ferrell, but incorporates him into a larger assortment of comedy that not only includes the other characters but also is at times impressively ingenious. A typical recurring gag is the overt use of antiquated special effects, including rear-screen projection when Ferrell is driving across the landscape in his dusty pickup, and obvious studio sets used for outdoor scenes that recall both classical-era Hollywood and 1980s soap operas. Writer Andrew Steele and director Matt Piedmont — a noted "Saturday Night Live" vet during Ferrell's heyday on the show — push these techniques really hard, and the harder they push the more absurd and hilarious their movie becomes. Ferrell provides his usual shtick, but this time his deadpan doofus persona is exactly what's needed, the perfect center for a tongue-in-cheek movie that's all over the place in mixing genres and parodying different movie conventions.